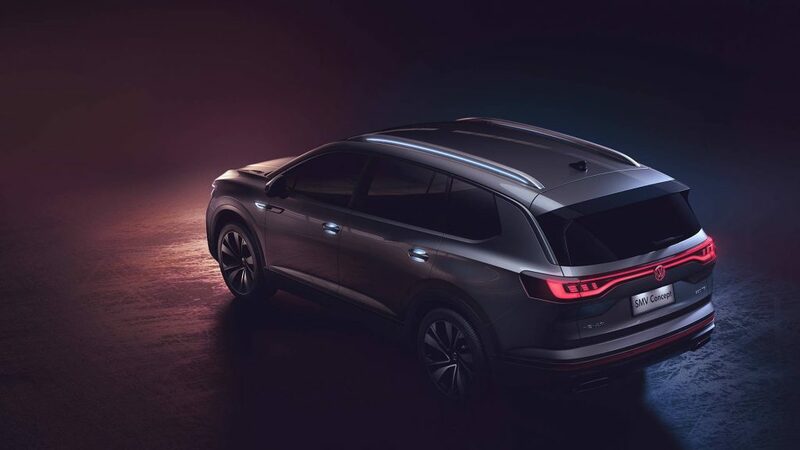 Volkswagen’s “Brand SUV Night” event held in Shanghai on the eve of the auto show included more than just the reveal of the ID Roomzz electric SUV study. 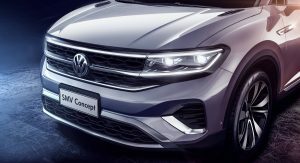 FAW-Volkswagen, one of VW’s joint ventures in China, has lifted the veils off the biggest SUV ever to wear the VW badge. It’s called the SMV and for now, it is presented as a concept vehicle. 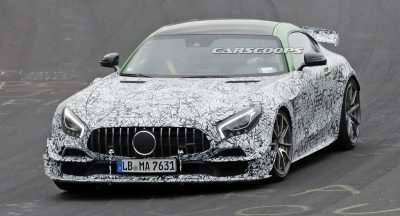 However, it looks very much like a production model to us and we expect it to enter production rather sooner than later. 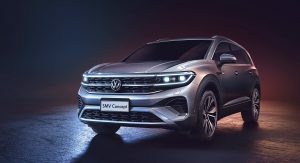 Targeting big Chinese families, the seven-seat VW SMV is bigger than the Atlas (sold as the Teramont in China), measuring 5,100 mm (201 in) in length. As with most VW models nowadays, the SMV is based on the MQB modular architecture and features familiar engines — for the Chinese market, at least. 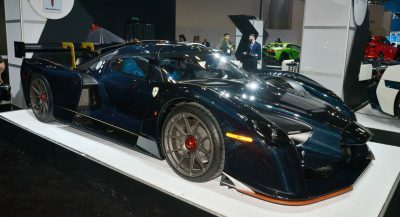 That’s because it shares powertrains with the Teramont. 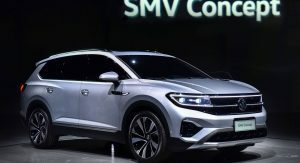 The ubiquitous 2.0-liter TSI will be the entry-level choice while the China-exclusive 2.5-liter TSI VR6 EA390 engine will power the high-end versions of the SMV. Mated to a seven-speed DSG transmission and 4Motion AWD, the six-cylinder engine makes 299 PS (295 hp) and 499 Nm (368 lb-ft) of torque. Not much else is known about the VW SMV and interior photos haven’t been released yet. 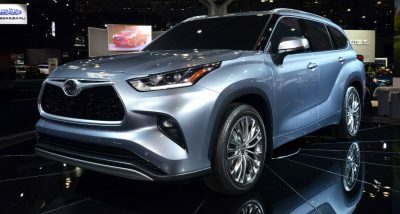 However, given the vehicle’s footprint, we can speculate that it’s a true seven-seater that offers plenty of space for adult passengers even in the third row. Also to be expected are big screens for the infotainment system and instrument panel. 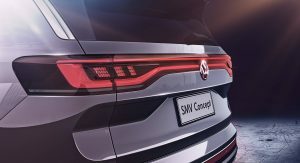 Styling-wise, the SMV adopts Volkswagen’s latest design language and looks quite dynamic for an SUV that’s so big. The curved and creased bonnet, muscular wheel arches and the sporty treatment applied to the D-pillar all contribute to that impression. The LED headlights and taillights that span across the entire width of the car serve to give the SMV a contemporary look. If this is really bigger than the Atlas/Teramont, I must say that VW has masked this concept’s size quite nicely. It looks like a production version of ID. Roomzz. I like this even more than the Teramont/Atlas, wait a sec, so where does this leave the aforementioned vehicle?! I’m wondering about that as well. But seeing the current VW China-line up of SUVs there seem to be more than duplicates already. They got the Euro-Models T-Cross, Tiguan and Touareg. Plus the Chinese-Models Tharu and Tayron and upcoming Atlas/Teramont Coupé and the non-EU-model Atlas/Teramont. I’m not sure if the T-Roc is sold in China. So that makes 7 or 8 SUV-models. Mind blowing. 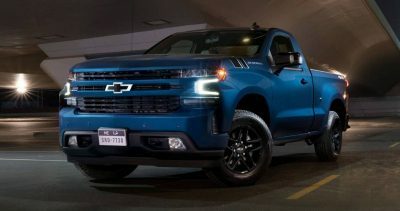 I though the Atlas/Teramont would fill out the niche for a 7-seater SUV nicely enough. But maybe the design is too bold and square (and maybe a bit outdated already?) for the Chinese taste (they seem to prefer more rounded and curved vehicles). Keep in mind that VW in China runs two separate joint-ventures (SAIC Volkswagen and FAW-Volkswagen), each with their own line-ups. This is why their sedan (and now their SUV) line-ups seem quite excessive when looked at as a collective. 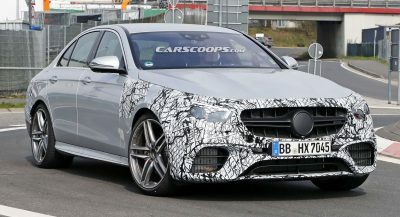 In actuality, the models from the JV’s are marketed independent from one another which is why you’ll notice overlapping and doppelganger badging (eg. Bora and Jetta being available in the same market). It definitely works in VW’s favour in terms of brand market share but is weird nonetheless. Yes, I know that. Its mostly to please both JVs and to comply with local political interests. Same reason why VW just presented an nameless SUV Coupé concept next to the production model of the Atlas/Teramont Coupé. For me it seems VW is pushing for some more rounded, elegant SUV models such as this MPV-SUV and some more rugged models such as the Atlas/Teramont or Tiguan. Well, apparently not only the Chinese people, I mean I loved the atlas the moment I saw it but if this concept turns to be true the way it’s shown here. I’m in! Looks more MPV than SUV in my opinion. Same applies to most SUVs these days. Shorter front-end and overhang definitely gives it that MPV-esque stance. Side profile reminds me of an Infiniti. 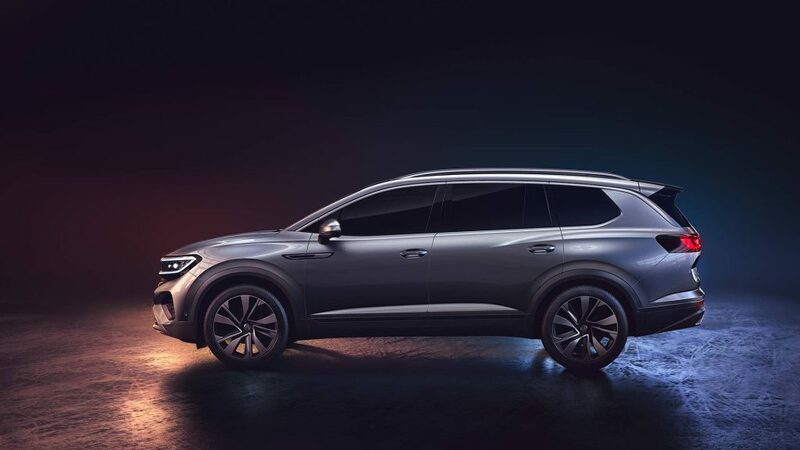 Side profile looks very Buick Enclave to me. I wish their “biggest SUV to date” looked like an actual SUV and not a minivan/mpv. I see Enclave and Pathfinder. Pathfinder was the first thing that came to my mind. I think this looks better than both the Pathfinder and Enclave. It’s a rebadged Buick I believe. It looks like it has a REALLY LONG BODY and a comparatively stunted hood, which is indicative of the design limitations the MQB platform forces on the cars Volkswagen chooses to build on it. 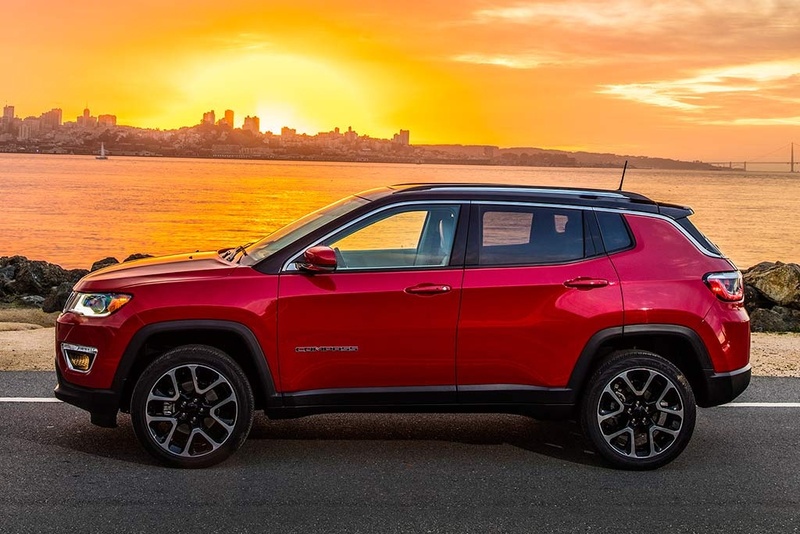 It’s especially noticeable around the dash-to-axle ratio, which is identical on all cars derived from MQB, whether it’s a tiny Volkswagen T-Cross or this gigantic creation. Exciting lines for a VW. It does have smoother lines compared to the more masculine looking Atlas. I see some Murano, some Enclave, and it vaguely reminds me of the Mazda MPV from the early 90’s. This is a rebadged Buick. Am I the only one who see this?